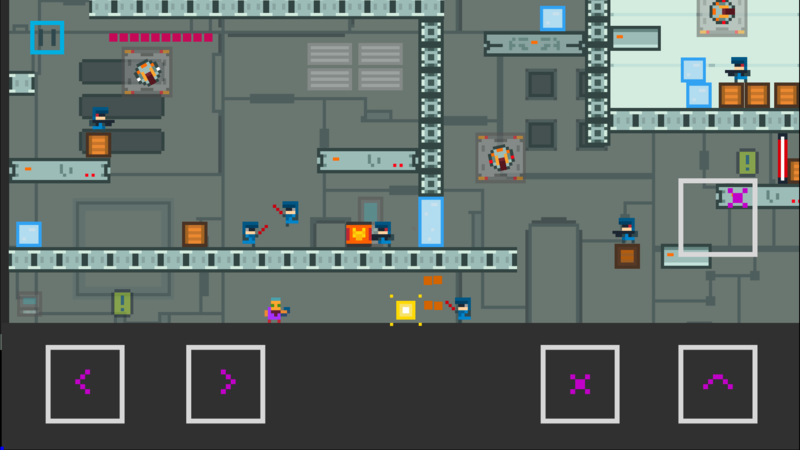 Andy McPixel - new pixel shooter released on iOS and Android — Welcome to the GameSalad forum! 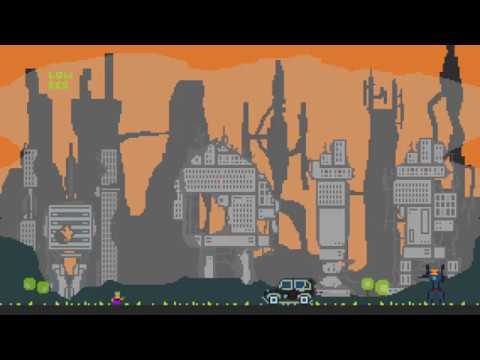 Check out my newly released game "Andy McPixel: Space Outcast"
This is a story about Andy McPixel. Wanted by the Galaxy Federation he was trying to find a planet when he can fix his ship and get some ammo. The landing on the peaceful planet Orpheus inhabited mostly by androids rapidly turns into one of the toughest battles of his life. @manoolgames I'm stoked for this game. Trailer looks so good! Love the art, love the music, can't wait. I'll check this out tonight and get back to ya. UPDATE: Got it. Definitely love it. Every movement and interaction is well tuned. 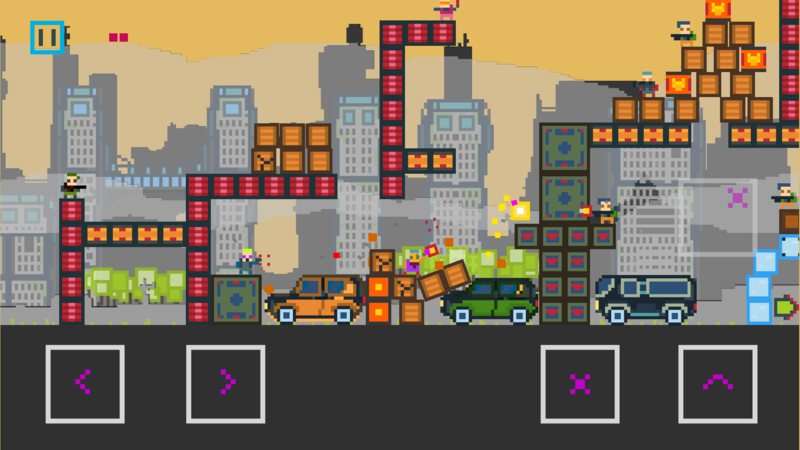 The launching of box bombs and the breaking of every breakable object happens as expected. Character control feels intuitive and tight. The alternate shooting (straight vs diagonal) is a nice mechanic to set the game apart from many many others in this genre. The pixel people are perfect and the pixel world around feels rich with organic detail. The pace feels appropriate and the info boxes are spaced out well and introduce new interactions and gameplay elements well without rushing or overloading the player. I can't tell if it's slightly random ammo movement or if the ammo is being ruled to move slightly when near an enemy. Whichever it is, it's great. 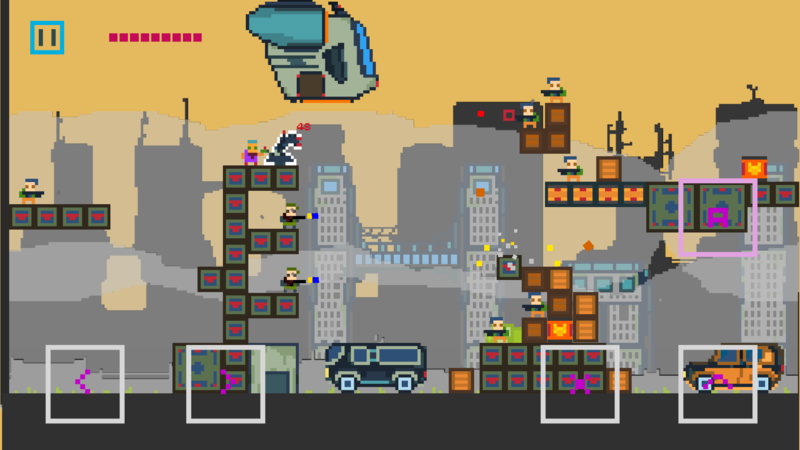 I like the various types of movement of the enemies as well. The story animation is really nice and fits well with the writing as it animates onto the screen. Also, the writing itself is a good balance of meaningful background and concise statements. Sometimes story games can drone on forever but this is clearly well thought out and inviting rather than distracting. I played through the first 13 levels and overall The art alone carries this experience along for me. Thanks for the fun game!